﻿Eshab-ı Kehf Kulliye is a historical building complex in Kahramanmaraş Province, Turkey. The complex is composed of various buildings built in different eras. The church was built by the Byzantine Emperor Theodosius II in 446 AD. 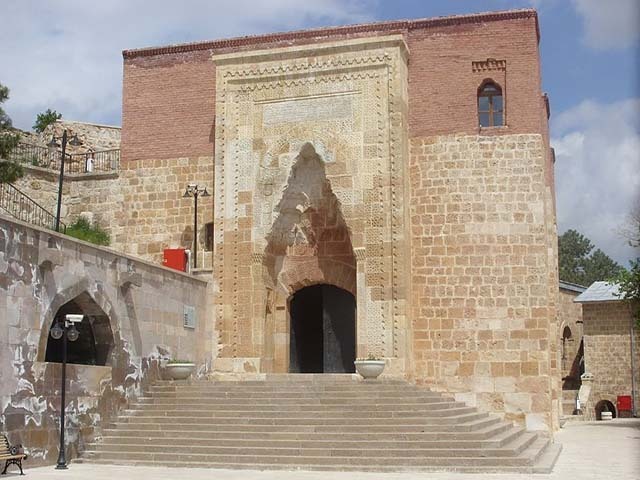 During the Seljuks of Anatolia era Seljuk governor Nasretüddin built a mosque, a caravanserai and a fortified barracks between 1215 and 1233 AD. Later, during the Beylik of Dulkadir era a medrese in 1480-1492 AD was added to the complex by Bozkurt of Dulkadir. The külliye is considered to be one of the many places which are allegedly the cave of Seven Sleepers.